The journey toward financial independence is just as important as the destination. Our name reflects this belief - as Odyssey means, “a long journey full of adventures.” As important as it is to reach your future retirement goals, it’s just as important to enjoy the current adventure that aims to lead you there. When you work with Odyssey Wealth Services, we will help you enjoy the life you are currently living, and plan for the future life you and your family deserve. Guiding you on your journey towards financial wellbeing and confidence, our team of advisors are caring, focused and knowledgeable. 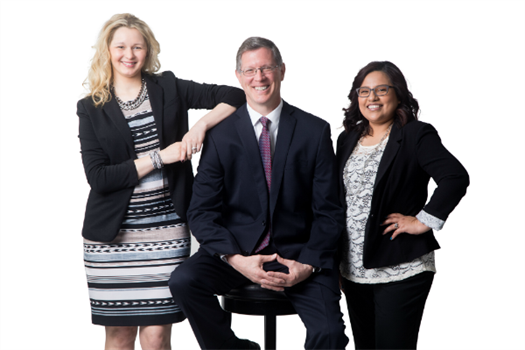 With 51 years of combined experience in financial services, our team is well-versed in the many nuances of planning, investing and insurance. Whether you are already on the road to retirement, are saving for your young child’s education, or have questions about life insurance - the Odyssey Wealth Services team is here to provide objective, professional and personalized planning support. At Odyssey Wealth Services, we put our clients first. From scheduling your first appointment, to the implementation of your custom strategy and every step in between - our team of professionals are focused on you, your family, and your goals. Further supporting the commitment we’ve made to our clients, our mission is to improve lives by creating financial independence, freeing you to focus your energies on areas that give your life meaning, purpose, and fulfillment. We look forward to partnering with you on your journey towards financial independence.